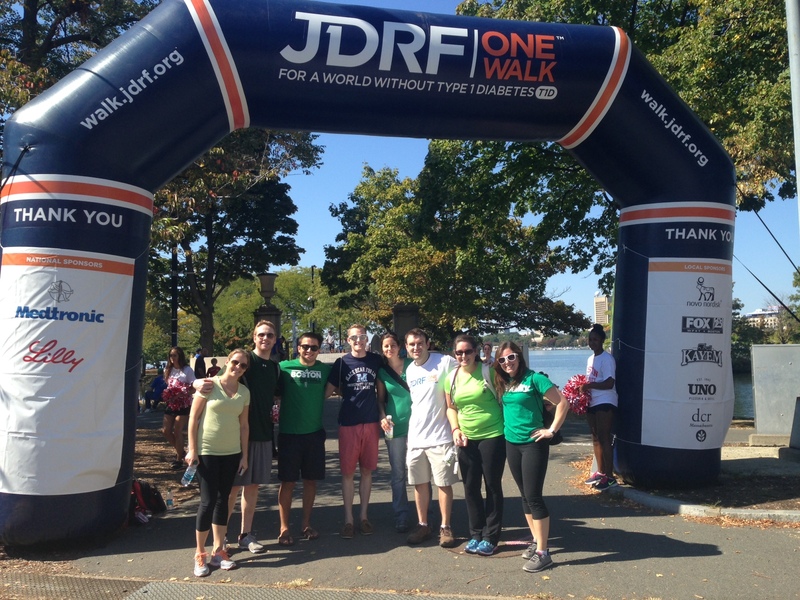 At the beginning of September I finally signed up our YLC team for the Boston JDRF One Walk. I got my typical donations, but I felt like I was stuck in a fundraising rut. I noticed that Steph had been thanking people on facebook for weeks, and I was wondering what her trick was. She suggested Facebook messaging ALL of my friends. It seemed a little intimidating and excessive, but I figured I’d go for it. I am amazed at the people who stepped up and donated. There were people donating who I haven’t spoken to in years. On the day of the walk, our team had raised nearly $5000 and I could not have been more proud to be a part of this team. I am proud to welcome the next two presidents to YLC! I have been waiting for this since we tried to host a fundraiser. Looking back, I realize that I was not in fact the right person for the job. When it seemed as though no one else would step up, I stepped up. But when it came time to recruit new members, or solicit donations or plan hosting details, I had nothing. I don’t have former colleagues (I mean, I do, but they’re children). I don’t have connections in the business world. Negotiating is not my forte or anywhere in my knowledge bracket. I was not successful. I had ideas, and I’m proud of those ideas. I just didn’t have a way to implement them. I think that this new duo has both the ideas and they are both capable of implementing them. If you have found this event through my blog or any other JDRF information source, then go here to buy your ticket! If you want to check out the event on Facebook, you can do that here! If you want to save $10 off the ticket price, enter the code jdrfvip at checkout!